Do You Know the Warning Signs of NH Nursing Home Abuse? According to the National Ombudsman Reporting System (NORS), 14,258 (7.6 percent) of approximately 188,599 complaints reported to state ombudsman programs in 2014 involved abuse, gross neglect, or exploitation. Another study of nursing home staff throughout the country found that 36 percent had witnessed at least one incident of physical abuse of an elderly patient in the previous year, 10 percent committed at least one act of physical abuse, and 40 percent admitted to committing psychological abuse. It gets worse: A CNN special investigation aired in February found that the federal government cited more than 1,000 nursing homes for mishandling or failing to prevent alleged cases of sexual assault and abuse from 2013 to 2016. 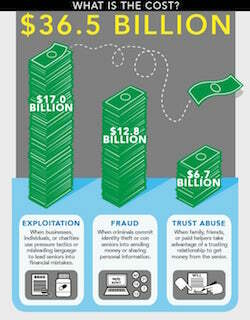 Financial abuse is often overlooked, costing older Americans more than $36 billion a year. Click on chart for full view. Before pursuing a civil action for institutional elder abuse, it is important to objectively evaluate the facts of the case. The NH Nursing Home Injury Attorneys at the Law Office of Manning & Zimmerman, PLLC provide aggressive yet caring legal representation to those whose loved ones have been the victims of NH nursing home abuse. Our goal is to help our clients receive full and fair compensation for injuries, including pain and suffering, that have been sustained due to negligent care of the elderly. If you need help bringing a NH nursing home abuse claim, or have any questions, including needing information about a nursing home requiring the signing of a forced arbitration clause, we are available to help. There are no up-front costs for our services. 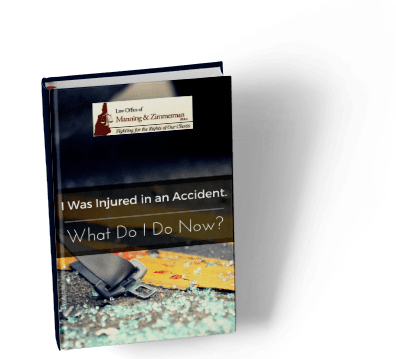 All NH personal injury cases are handled on a contingency basis, meaning that we are only paid for our services if we successfully recover damages from the responsible party. For a free consultation, call (603) 624-7200, email us at info@manningzimmermanlaw.com, or contact us by using the “contact us” form or chat feature on our website.